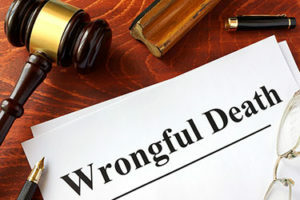 Family members who have lost a loved one might be able to bring a lawsuit against those responsible for wrongful death. This lawsuit holds the person who caused the death financially responsible in court, and the defendant must pay compensation to certain surviving family members. Like all lawsuits, no two wrongful death lawsuits are alike. No one collects information on how much wrongful death cases settle for, so an “average” settlement becomes impossible to calculate. Still, you should understand what factors go into determining the amount of compensation you can receive. If your spouse died, you were probably counting on receiving his or her income for the rest of their working life. In a wrongful death lawsuit, you can receive a sum of money to make up for these lost wages or other compensation. Based on this information, you can roughly estimate how much the deceased would have made had they lived. These amounts are very difficult to estimate, and may be limited by statute, so it is vital that you meet with a lawyer who has extensive experience in this area of law. Your lawyer can rely on their prior cases to estimate the amount of compensation you might receive for these emotional losses. For example, someone who struck your loved one intentionally with a car might need to pay punitive damages for their willful conduct. Conversely, someone who ran over your loved one because they forgot to look in the rearview mirror probably does not. Also, your loved one’s estate can also bring a lawsuit to recover damages. The lawsuit will be brought by the personal representative, who should be named in the will. If there was no will, then a probate judge will appoint someone to serve in this capacity. Finally, wrongful death cases require a nuanced, individualized assessment by an experienced attorney. At the Olson Law Firm, we have handled multiple wrongful death lawsuits and are prepared to assess your chances for compensation. Call us today, 303-586-7297, to schedule your own no-obligation consultation.